A Vancouver Island man departs today for a solo sailing trip around the world, after his first attempt was cut short by crippling storms. 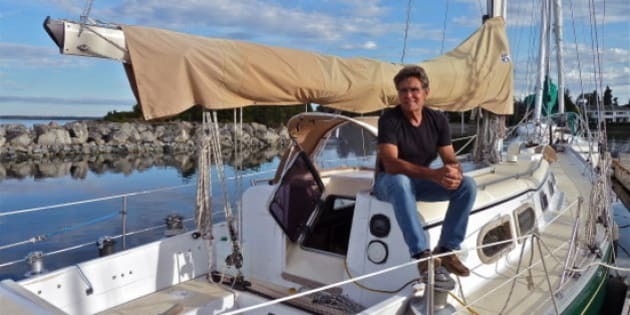 Lifelong sailor Glenn Wakefield, 63, is setting sail from Cadboro Bay in Victoria at 1 p.m. PT in an attempt to circumnavigate the globe. He told CBC News on Sunday that he's leaving with mixed emotions. "The raw excitement of being back on the ocean alone, that's fantastic for me ... I love being out on the ocean," he said. "And then there's the absolute, you know, there's lots of anxiety and fear that my family is going to be okay and I've left things in order." Five years ago, his boat was rocked by storms while he passed Cape Horn in southern Chile, forcing him to end his trip early. Wakefield was trying to make his way to the Falkland Islands to restock heart medication he accidentally lost earlier in the trip when he dropped many of his pills down the sink. He’s determined to make the journey a success this time, he says. “There's something about leaving without finishing and it was an unfortunate circumstances that brought that voyage to an end but I'm here now and there's just an overwhelming feeling that I wanted to finish,” says Wakefield. His 50,000-kilometre trip will take an estimated 10 months to complete. During that time, he says he will blog about the experience and communicate with amateur radio enthusiasts around the world.